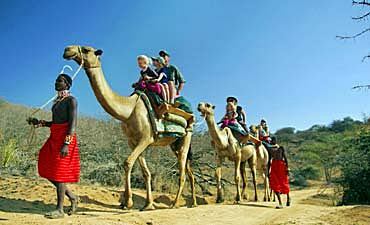 Are You Planning A Kenya Safari To Lewa? 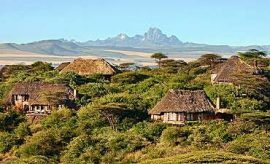 Scroll Down For Details..
With a history that spans over decades, Lewa Conservancy in northern Kenya is one of today’s most successful conservancies in Africa. In 1983, the land was designated as the privately-owned Ngare Rhino Sanctuary in response to threats to northern Kenya’s black rhino population. 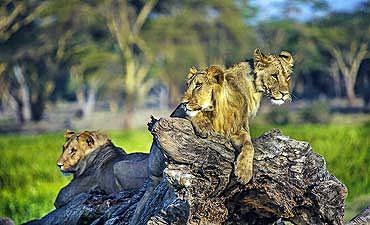 Twelve years later, the area was re-named the Lewa Wildlife Conservancy, and today, it is a 62,000-acre pioneering model of successful conservation that balances human use and protection of natural resources, both in wildlife and wilderness. 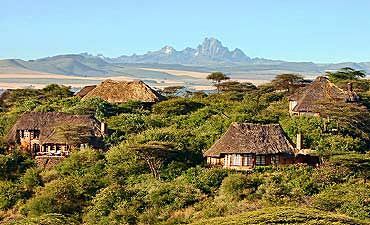 The success of the conservation efforts led to the boundaries of the Mount Kenya’s UNESCO World Heritage Site to include the Lewa Conservancy, as well as the Ngare Ndare Forest. 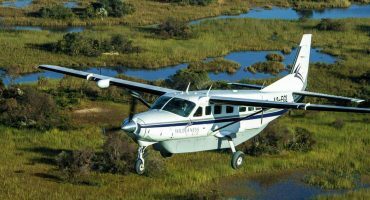 One of the most cutting-edge projects of the conservancy is the construction of an “elephant corridor” that alleviates the pressure between humans and these migrating pachyderms. 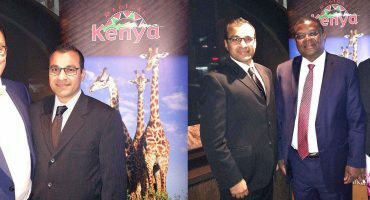 The corridor represents a collaborative effort between the Kenya Wildlife Service, Lewa Conservancy, Mount Kenya Trust, Marania Farm, Kisima Farm, Borana Conservancy and the Ngare Ndare Forest Authority. 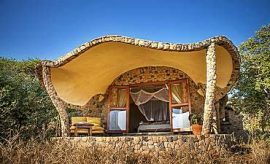 Built in 2010, the corridor extends from Mount Kenya through Lewa and other outbacks to the open expanses of the Samburu region. Conservancy guests of Lewa have unfettered access to an incredibly beautiful landscape that supports a variety of animals, including antelope, giraffes, elephants, buffalos and other herbivores that upkeeps striking cheetahs, stealthy leopards, mighty lions, brutal wild dogs and other predators. 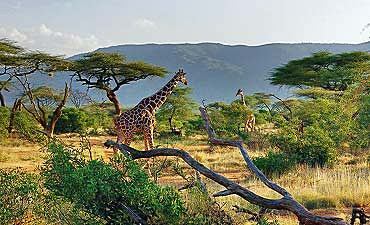 The most notable conservation efforts at Lewa are those focused on black rhinos and grevy’s zebras. 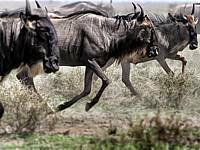 The success of these efforts has resulted in a 6% increase in the resident black rhino population, and the surge of the world’s largest population of grevy’s zebras. 10% of Kenya’s black rhinos exist at Lewa with its strong patrolling force. 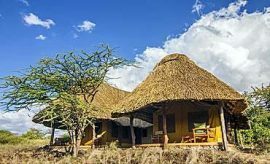 Lodgers who stay at or visit Lewa Conservancy make a valuable contribution to these programs, as a portion of all proceeds from tourism is dedicated to both flora-fauna preservation and public development. 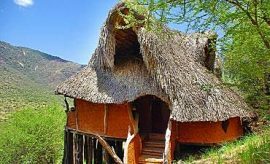 Through its conservation tourism, Lewa Wildlife Conservancy also supports community projects to enhance the lives of local peoples, including four medical clinics, over a dozen schools, women’s micro-credit program and ten water projects. 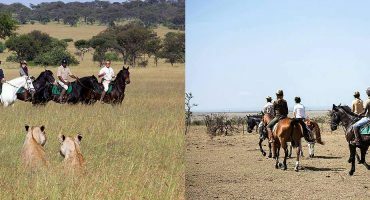 There are multi-faceted activities available at Lewa, all bookable via your AfricanMecca travel consultant, from traditional game drives, bush walks, Maasai village visits, fishing trips to Lake Rutundu on Mount Kenya, horseback safaris, camel rides and others (read more on tour activities in Laikipia). 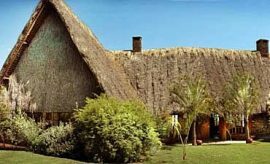 Most lodgings at Laikipia are deluxe to exclusive. 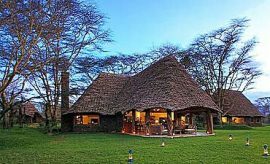 We recommend Lewa Wilderness and Loisaba Wilderness as a premier luxury option. 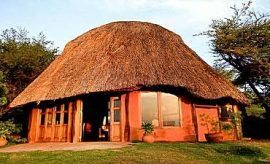 Lewa Safari Camp and Sosian offer a deluxe experience. 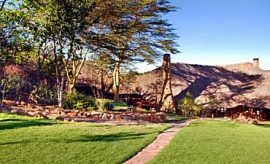 Located in northern Kenya, the private conservancies of Laikipia represent an outstanding model of wildlife conservation that provides our guests with a distinctive, multifaceted safari vacation.